IRIS® Registry (Intelligent Research in Sight): Consistently a market-leader since its creation, IntelleChartPRO was recently named the #1 EHR Collaborator with the most registered practices through The American Academy of Ophthalmology IRIS® Registry (Intelligent Research in Sight). Nextech’s IntelleChartPRO EMR templates are not only ophthalmology specific, but specific to each individual patient. With shorter pick lists and only relevant choices based on the patient history and problem list, ophthalmologists save valuable time during each exam. 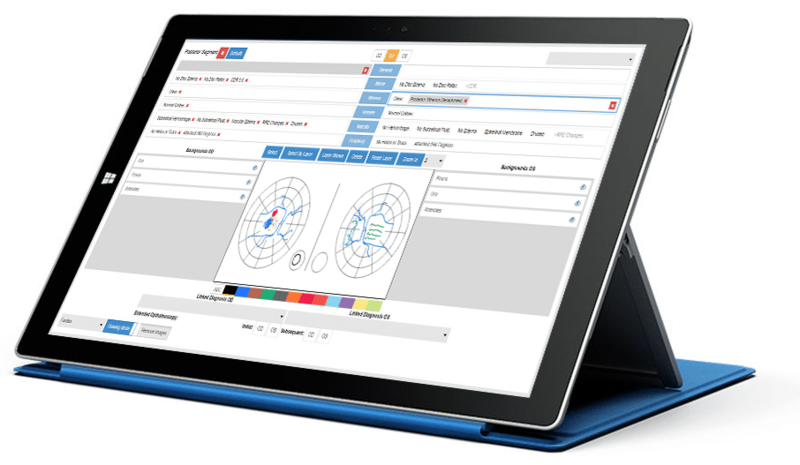 Adaptive templates empower ophthalmologists to chart faster without sacrificing accuracy. 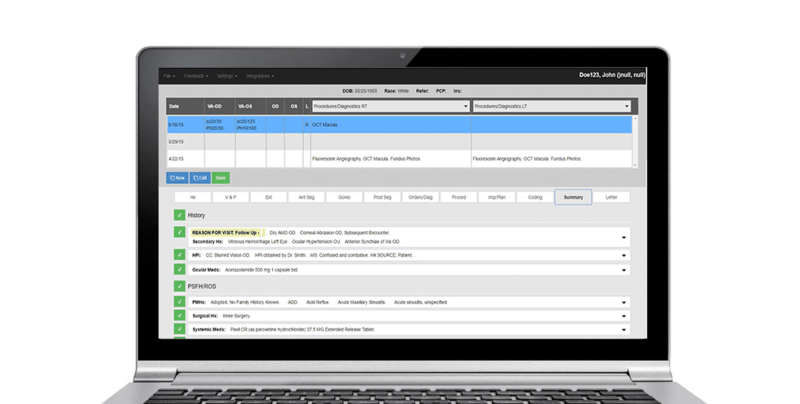 Work smarter with Shared Care and streamline the referral process. Document accurately in less time. The drawing program automatically suggests existing drawings based on findings from the patient’s chart. Need to adjust the drawing? Editing is simple. IntelleDraw works in layers, allowing ophthalmologists to edit a particular layer without having to erase an entire drawing. 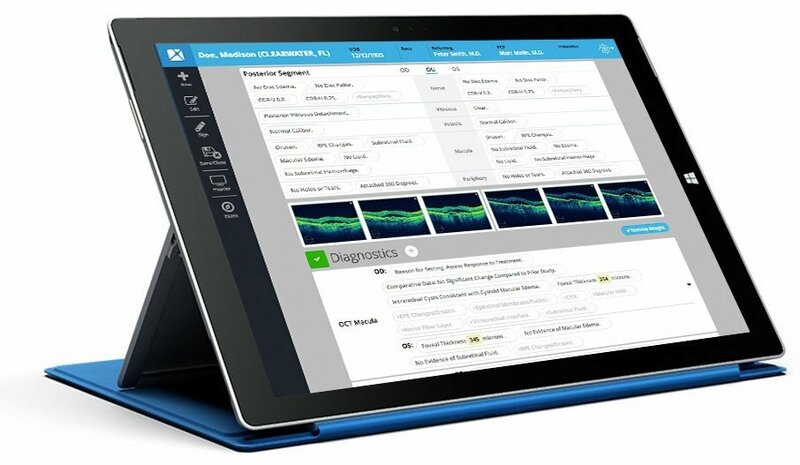 Nextech's knowledge-driven IntelleChartPRO EMR was designed by a practicing ophthalmologist, engineered to mimic the workflow of ophthalmologists. 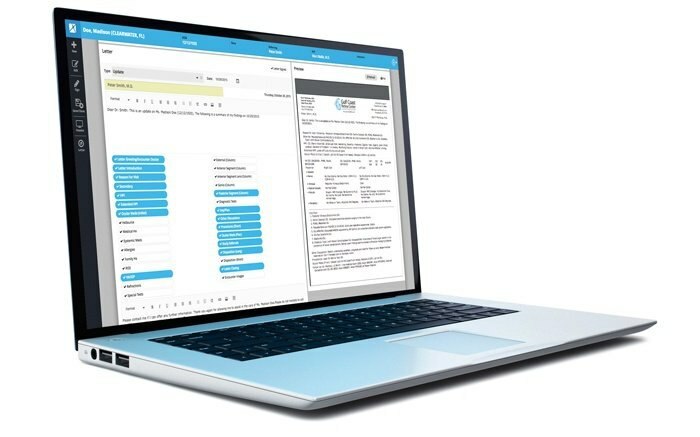 Comprised of a collaborative community of clinicians, the clinical content of IntelleChartPRO grows with each physician user. Document each patient encounter with unmatched speed and specificity. Nextech’s IntelleChartPRO provides unmatched capability in diagnostic device integration. Learn how Nextech’s solutions can help you chart faster, work smarter and live better.